Yep, it’s that time of year. School is in session, and your child has all of their pens and binders neatly tucked away in their brand-new backpack. Flash-forward to three months later. Let’s just say your child’s backpack and lunch box are far from pristine. Perhaps the words “health code violation” are lingering somewhere in your imagination. 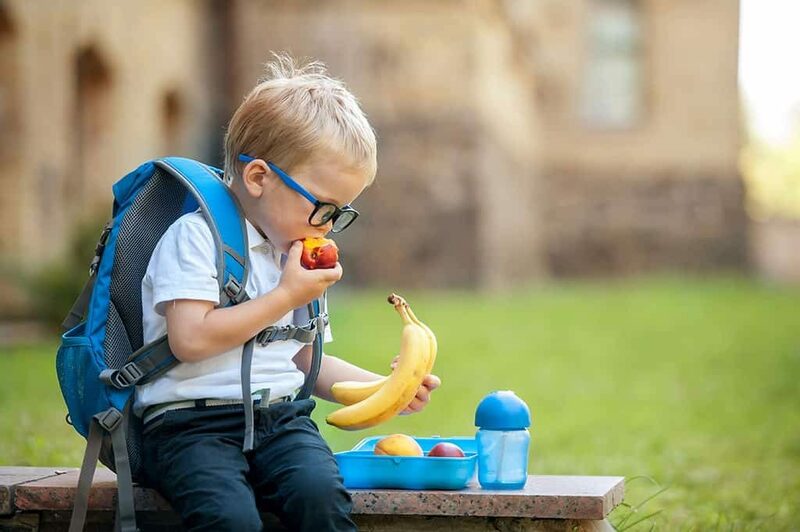 Here are some great tips for cleaning your child’s backpack and lunch box. Of course, the first step is to empty the backpack. Make sure you check each pocket and remove items such as leaky ballpoint pens, gum, food, or expensive calculators. Next, shake the backpack free of loose dirt and unzip everything to let water and detergent free access to mystery pockets. If some areas such as the bottoms or straps are especially stained, treat these first with a stain remover. Before washing, turn the backpack inside-out. To prevent straps from getting caught on the agitator, put the backpack in a mesh laundry bag or pillowcase. On a gentle cycle using cold water and mild detergent, wash the backpack. Avoid adding harsh detergents or fabric softeners because these may damage the fabric. If your child’s backpack has leather elements, you may have to wash the pack by hand in the tub using baking soda and water to prevent damage. When the wash is done, hang the pack upside-down out in the sun to dry. Naturally, you’ll need to wait until the backpack is fully dry before putting anything back inside. Most lunch boxes are actually insulated lunch bags. These come with a plastic liner that tends to make routine cleaning fairly easy. Using the “flip and clean” method as for the backpack above, you can wash the lunch bag in a gentle cycle with mild detergent. However, let’s assume the worst has happened. You open your child’s lunch bag and discover an old tuna fish sandwich in there — from three weeks ago. We need to break out the heavy descenting guns: the baking soda. Make a paste of baking soda and water and liberally smear the paste all over the inside of the insulated lunch bag. Don’t forget to smear the baking soda paste on the interior lid of the bag (if it has one). Set the lunch bag aside to give the baking soda plenty of time to neutralize odors. In fact, overnight might be a great idea for some extreme cases. In the morning, wash out the baking soda with warm water. Bottom line, back-to-school backpacks and lunch bags can stay fresh all year with a little extra cleaning time!